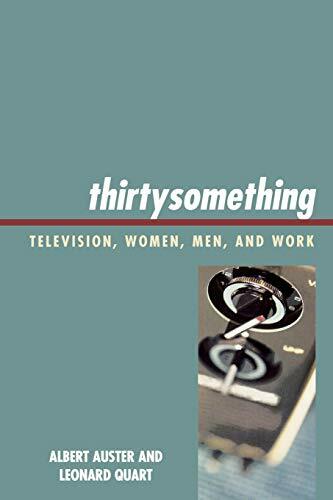 thirtysomething: Television, Women, Men and Work examines one of television's most emotionally and culturally resonant programs and the many themes it contained. 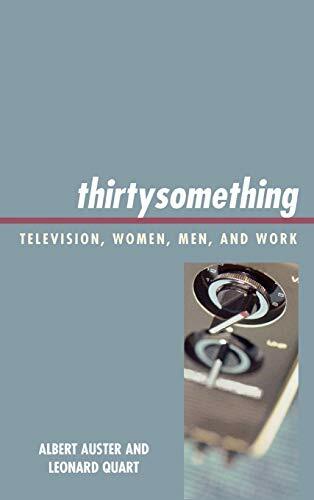 Addressing what it means to be a modern woman and the many corollary issues that revolve around the lives of the series' major women characters, thirtysomething explores female friendships and sexuality, male/female relationships, and the relationship of women to work and domestic life. Just as the women reflected the dilemmas of contemporary femininity, the men in the series represented many of the problems of modern masculinity at a time of great flux in traditional male roles. thirtysomething discusses how the series dealt with the roles of husbands and fathers, the nature of male sexuality, and the complex tensions that exist in male friendships. Authors Albert Auster and Leonard Quart view the television series as a program that not only provided a penetrating and imaginative portrait of the nature of marriage, friendship and career, but also is a conduit to understanding a particular urban-suburban American class culture and lifestyle during the late eighties and early nineties. Albert Auster is associate professor and associate chair of the Department of Communication and Media Studies at Fordham University. Leonard Quart is Professor Emeritus of performing and creative arts at the College of Staten Island and CUNY Graduate Center.